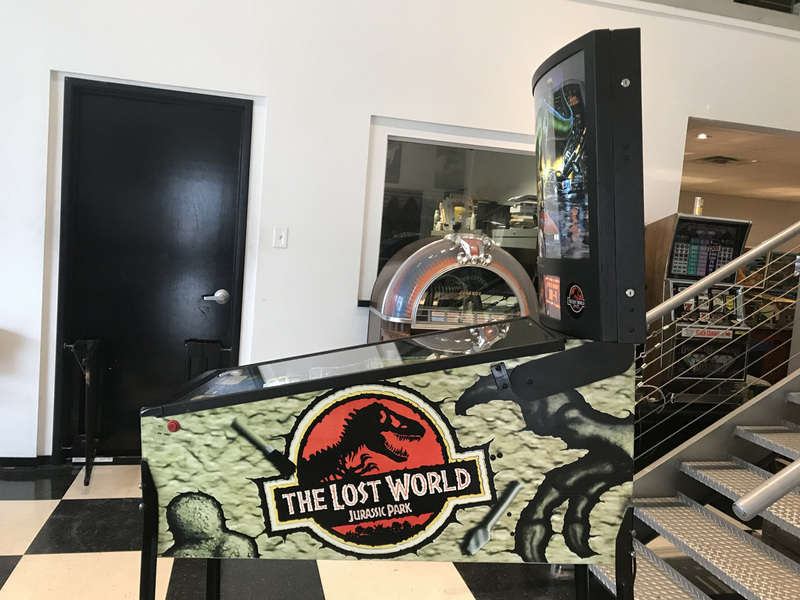 The Lost World: Jurassic Park Pinball Machine | Fun! 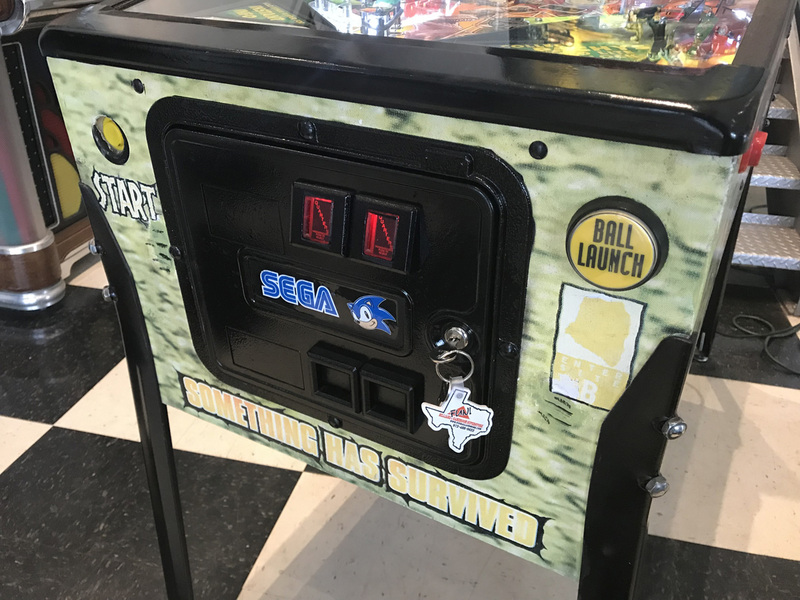 One of the most entertaining Sega pins, this game is great for families. 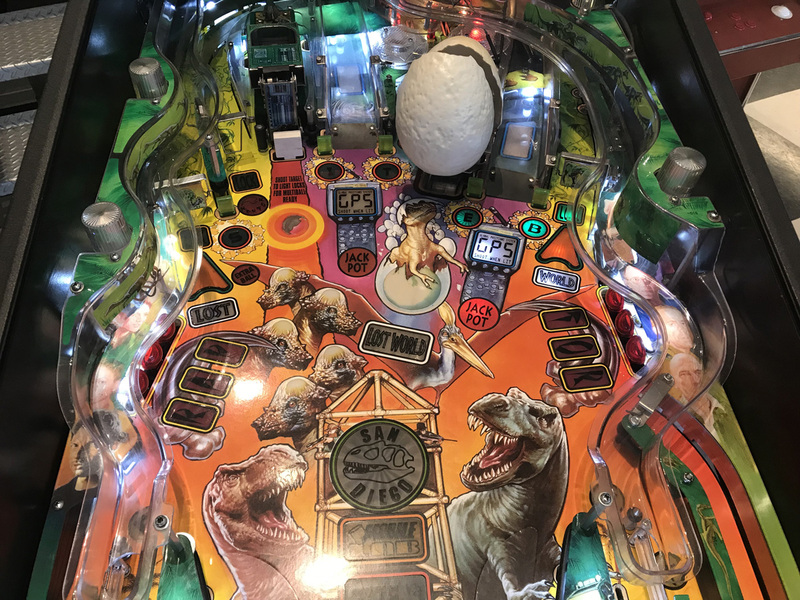 Features a giant opening egg that hatches a baby T-Rex. 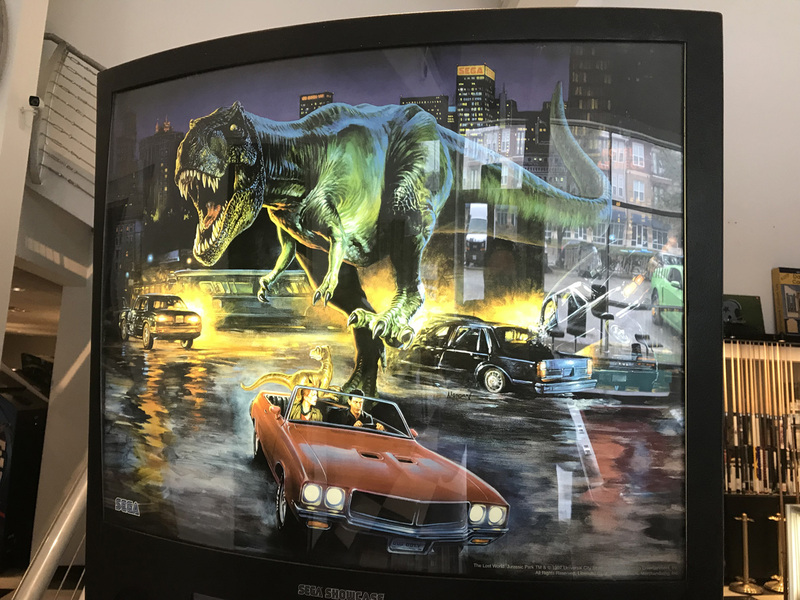 Great sounds including custom speech by Jeff Goldblum. 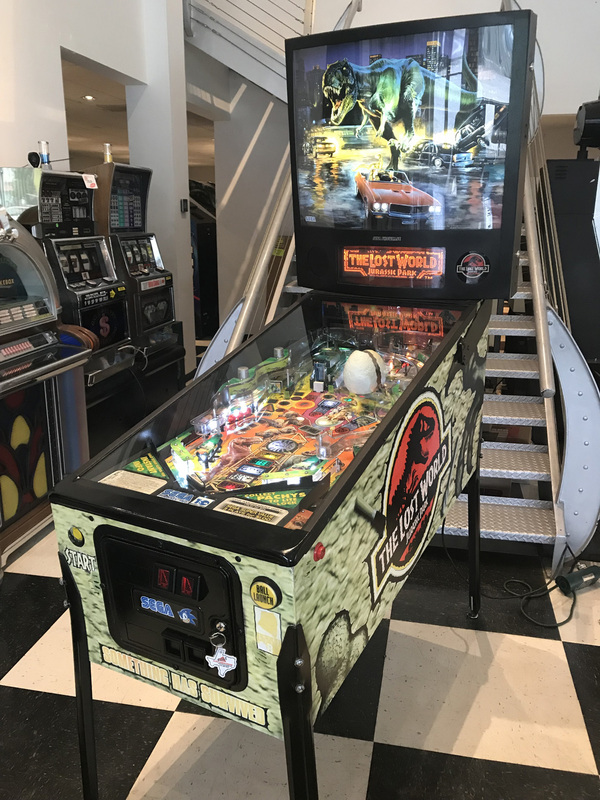 The Lost World: Jurassic Park features include multi-ball and various modes of play for both the novice and skilled pinball player. 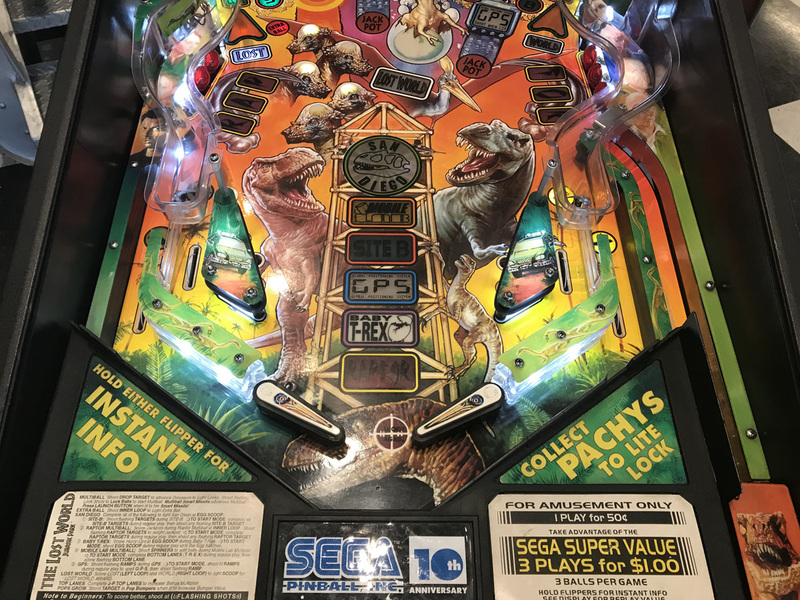 Up to 6 players can participate in a game at a time. 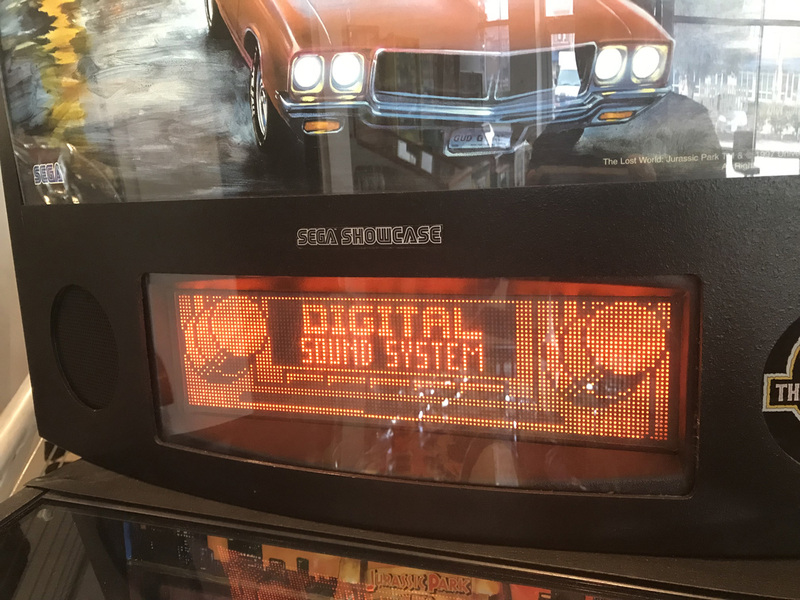 Overall this game is in nice shape. We have done a few minor touch-ups with matching paint on the exterior of the cabinet. Backglass is about flawless. 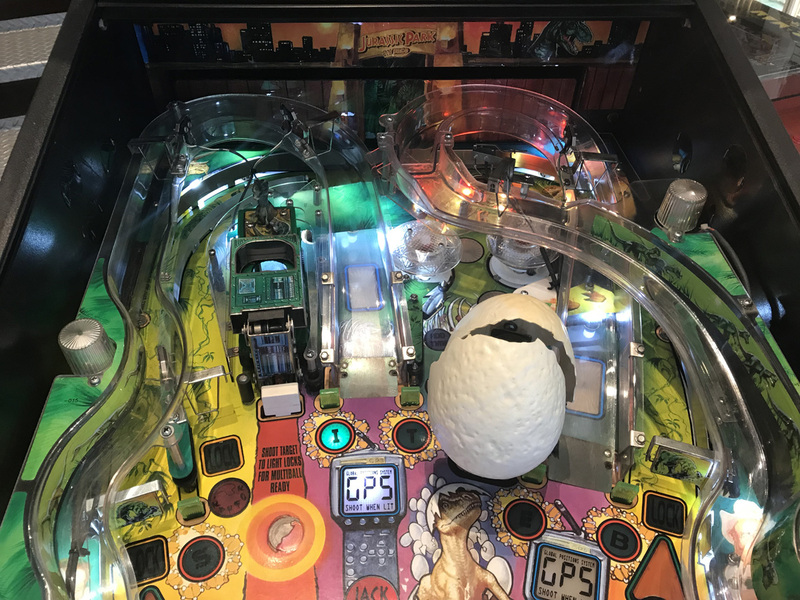 There is a small area of wear over the magnet that grabs the ball for multi-ball. We have thoroughly shopped this game out. Meaning that we have stripped all components (ramps, plastics, posts, etc.) 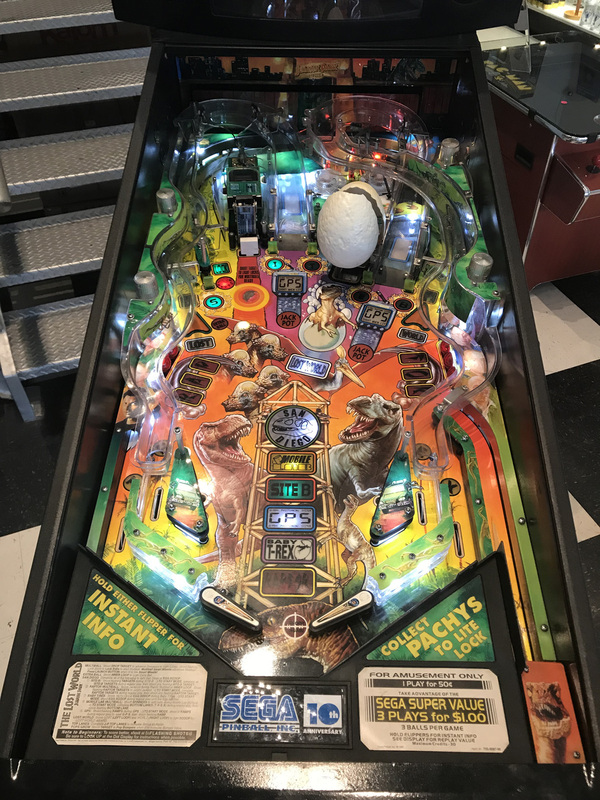 from the top side of the playfield. The playing surface, ramps and plastics have been cleaned and polished. A fresh set of rubber rings have been installed. All #44 & #555 bulbs have been upgraded to LED’s. 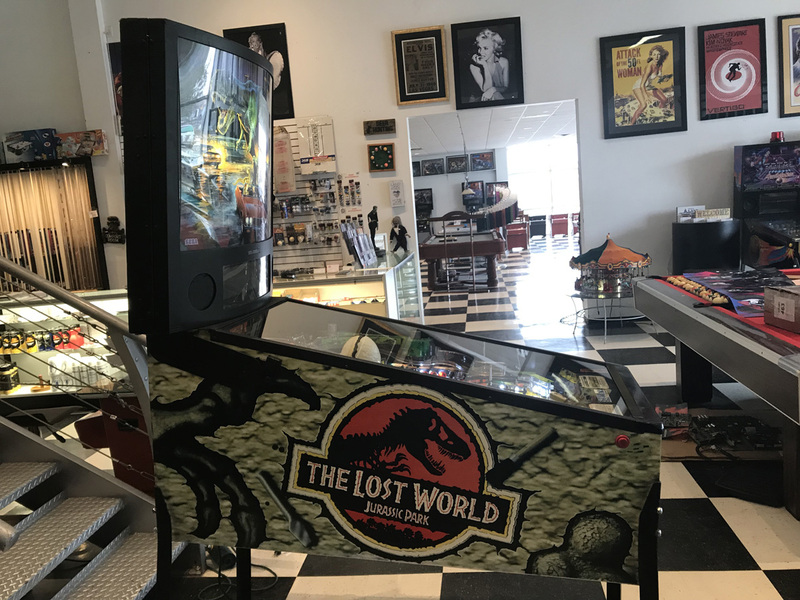 These LED’s look better, last longer and consume far less energy than standard incandescent bulbs which is a benefit to overall electronics of the pinball machine.